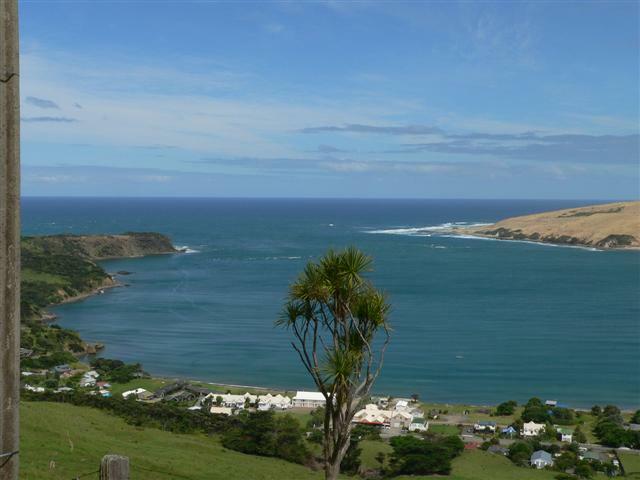 Opononi and Omapere are dual settlements on the south shore of the Hokianga harbour. In 1855, John Webster, who had arrived in New Zealand in 1841, bought 700 acres of rough land at Opononi and established a homestead and pastoral farm which he developed into a showplace, entertaining vice-royalty several times. He also built a wharf, gum-store and a trading store. In 1894, Webster put the house and farm on the market. The store and gum store were taken over by Alfred Sprye Andrewes who later converted the gum store into a two storey hotel. The Opononi Post and Telephone was opened in 1892 and operated until 1989. The road between Opononi and Omapere was developed in the mid 1930s leading to ribbon development. In 1959, a fire destroyed the Opononi Hotel and Opononi Store. 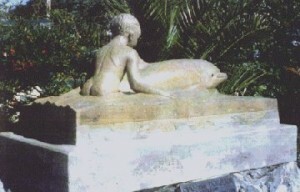 Opononi became famous throughout New Zealand in the summer of 1955 and 1956 due to the exploits of a dolphin called Opo. For all you want to know about the area, its history and where to find things today you can do no better than stop at this great local resource. Opononi became famous in summer 1955 - 1956. A wild female dolphin swam into the harbour and played with the swimmers on the beach. She was featured on television and became a famous national icon. Her stay among mankind was short. She was found dead among the rocks on the north side of the harbour. It is assumed that someone had been fishing with dynamite and killed the dolphin unknowingly. The above statue stands outside the Opononi Hotel and her grave is just a few meters away.